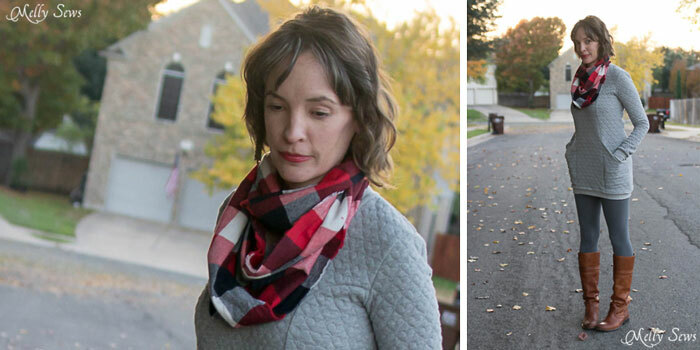 Sometimes you just need a pop of color and a quick sew, and today’s frayed edge infinity scarf tutorial fits the bill on both counts. 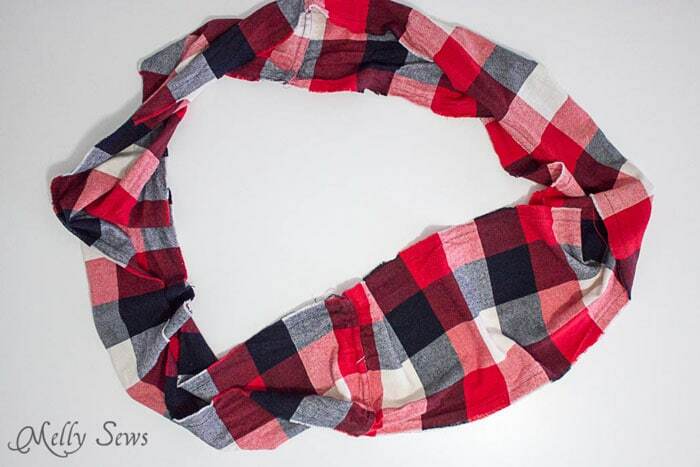 Made from only 1/2 yard of flannel, this is a quick project; in fact, I sewed this one approximately 20 minutes before we left the house. 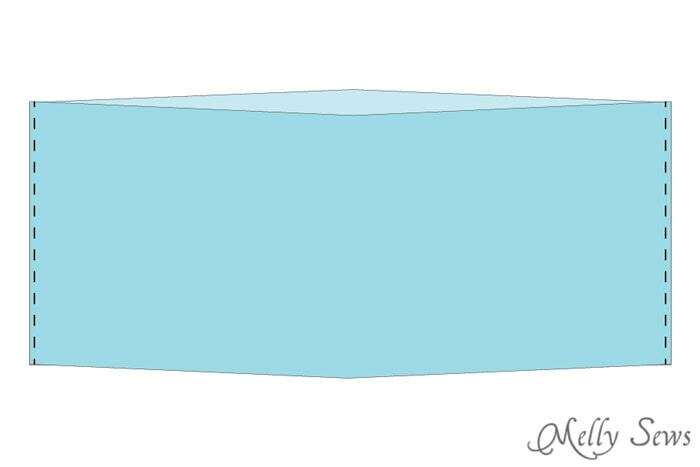 So here’s how you do it. 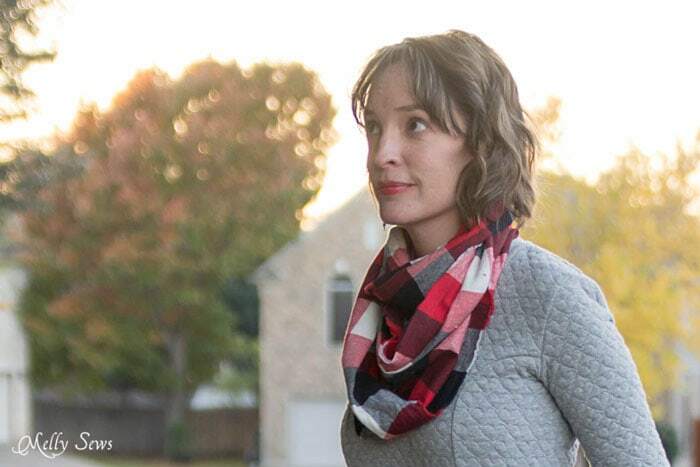 Start with 1/2 yard of 44″ wide flannel – so you have a piece of fabric 18″ x 44″. 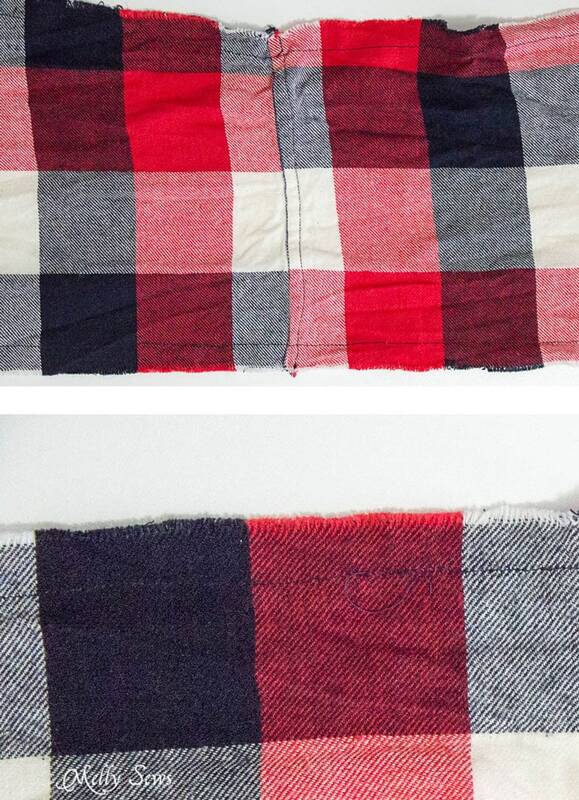 Cut the fabric so you have two 9″ wide by 44″ long strips. 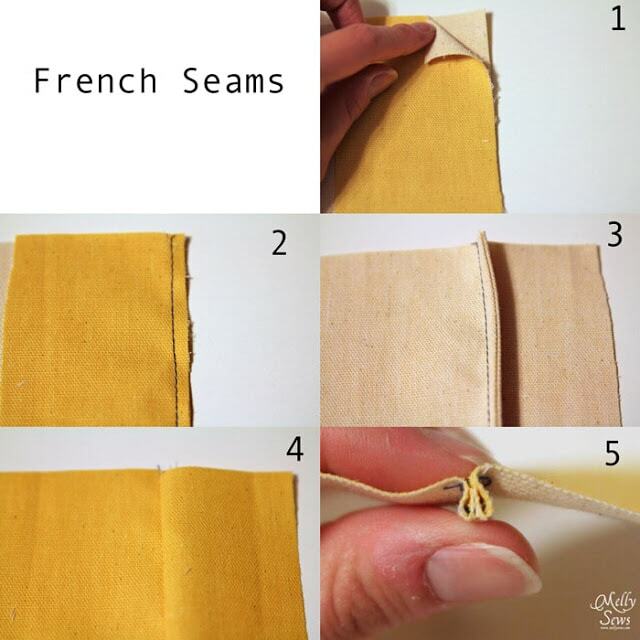 Place those two strips WRONG sides together and sew French seams on each end to join them into a loop. 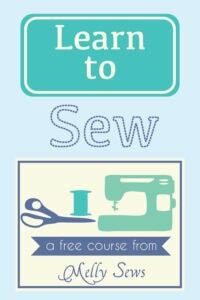 And once your seams are sewn, fold the seam allowance to one side and topstitch so it lays flat. 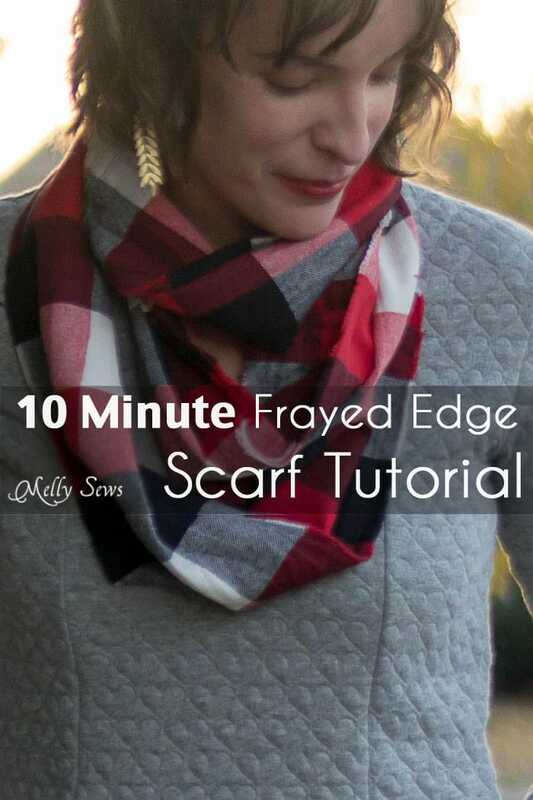 To prevent the edges from fraying forever, sew a line 1/2″ away from the raw edge on each side of the scarf. 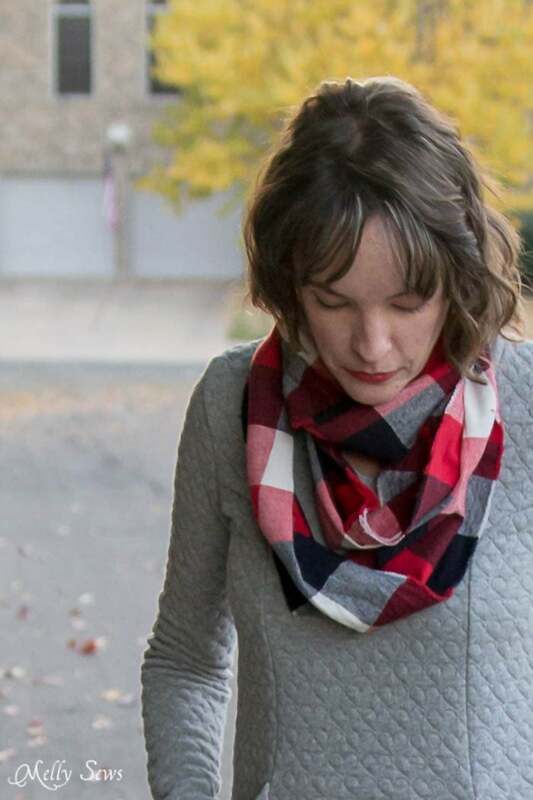 I wrapped the scarf twice for these pictures, and it’s the perfect lightweight accessory to keep my neck warm without adding a lot of bulk. I love your scarf. It would make a good addition to my Michigan winter wear. 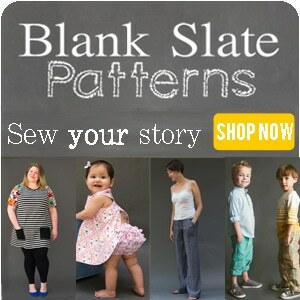 I was wondering how many of your Blank Slate women’s patterns I can find in a paper version at JoAnn’s? I love your patterns but I don’t do pdf’s so I was so happy to find one of your patterns in paper when I was looking around Joann’s. Fabulous! You are so clever!